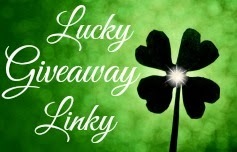 By now I think most of my readers realize we are a big coffee family. Not only do both my husband and I drink at least a cup a day, but two of our older children enjoy a few cups a week too. Constantly on a strict budget, I hate going to places like Starbucks everyday to get a caffeinated snack. The costs are ridiculous! So what other options are available for my family to still get moving each day? I create them at home like most others are forced to do. 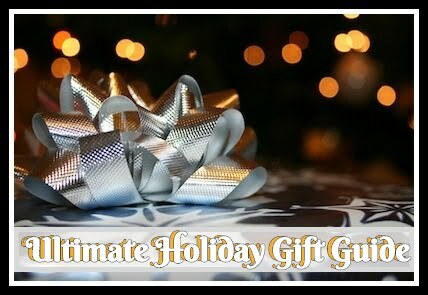 There are all sorts of amazing K-cup machines which make it super easy to do. 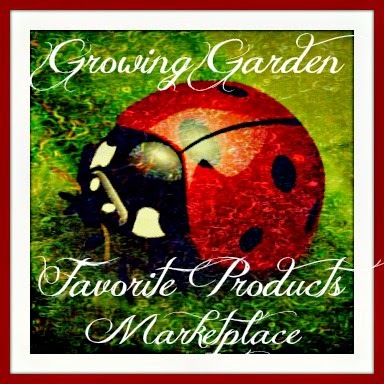 However, finding the right coffee brand and blends can be overwhelming and costly. 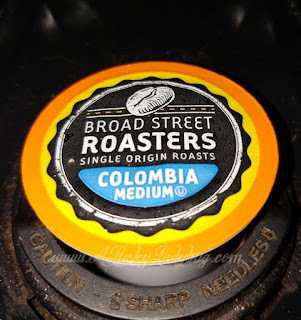 Recently I discovered the brand Broad Street Roasters. 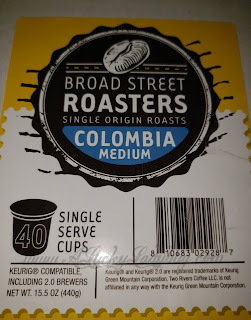 After reading how they are "single origin coffees which are known for being more flavorful, more complex in their taste", I knew I needed to give them a try. 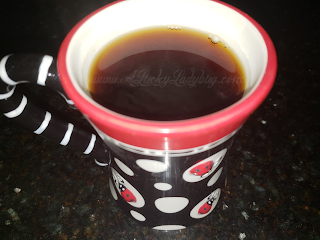 Once a week, I like to enjoy a good full bodied, dark roast, yet I haven't found a blend that sticks out. 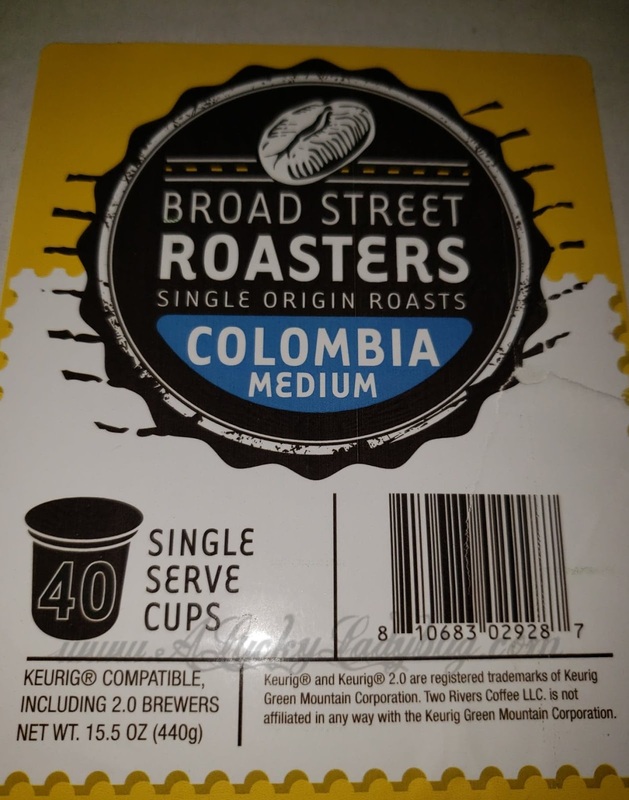 Because Kevin tends to lean towards Columbian blends, I decided to try the Broad Street Roasters Colombia Blend K-cups. 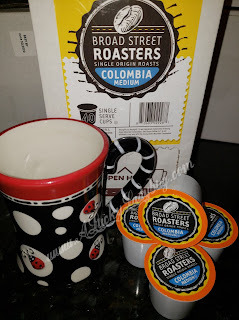 "This smooth, silky cup of medium roast will leave you delighted with notes of Brown Spice, Dark Chocolate, Dried Fruit, and sweet floral vanilla." Kevin tried it first and said he enjoyed the smooth coffee flavor. 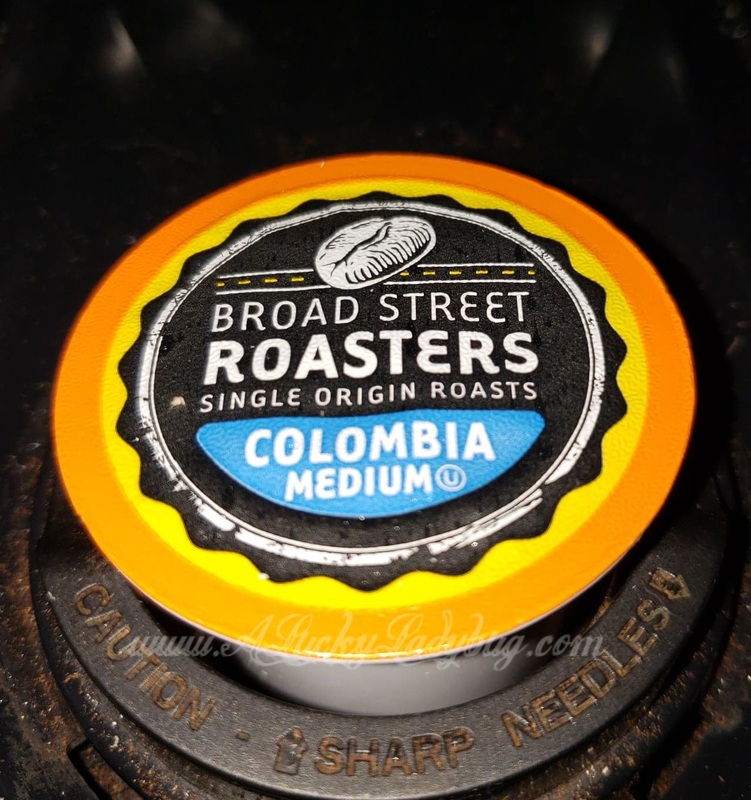 I thought it was smooth and easy to drink although not as strong as I had hoped for my weekly strong cup boost. Being a medium roast, this paired well with any creamer flavor or served just as well black. 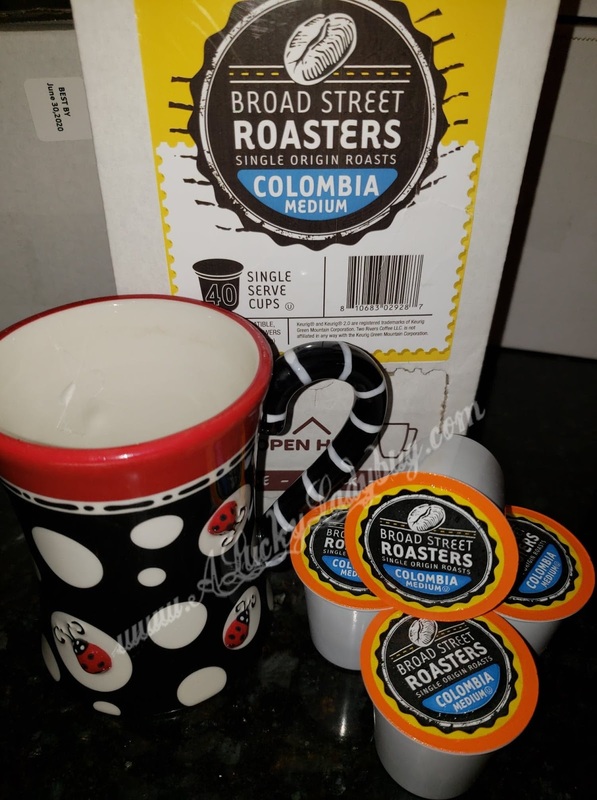 Giveaway: Broad Street Roasters is going to give one of A Lucky Ladybug's lucky readers the same box of Colombia Blend K-cups (40 ct.) to try of their own!